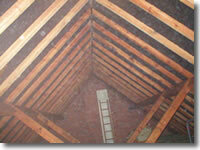 Dry and Wet Rot Treatments. 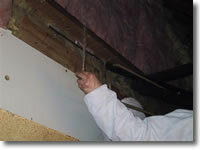 Firstly we locate and remove the underlying source of moisture. Afterwards we apply special low odour reservation fluids, generally micro emulsions. Where necessary infected masonry is drilled, irrigated and surface sprayed. 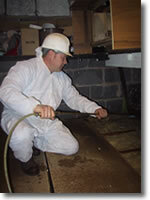 Woodworm Treatment Services us a specially formulated preservative to carry out the fungicidal process and skilled joiners to carry out and replacement of defective timbers.